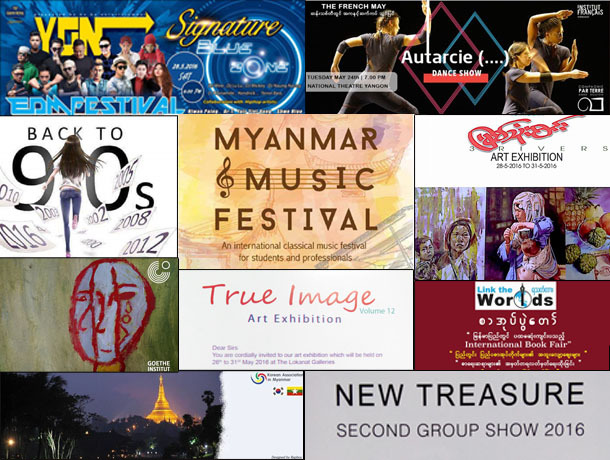 Now in its second edition, this translation festival aims to encourage the development of literary translation in Burma. Featured are seminars, translation workshops, a book fair and the display of old translated books. 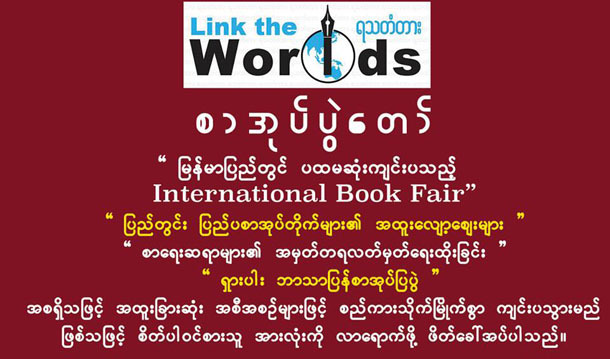 The festival was organized by the Burmese chapter of PEN International, a worldwide association of writers, which promotes freedom of expression and the role of literature in global society. Rangoon’s French Institute (Institut Francais) is hosting an original performance of break dancing—with an experimental twist—as part of its French May festival of dance and circus performances. Autarcie (…) is a “game of strategy” in which the breakdancing genres of “popping” and “waacking” meld to form an “abstract vocabulary,” according to the organizers. 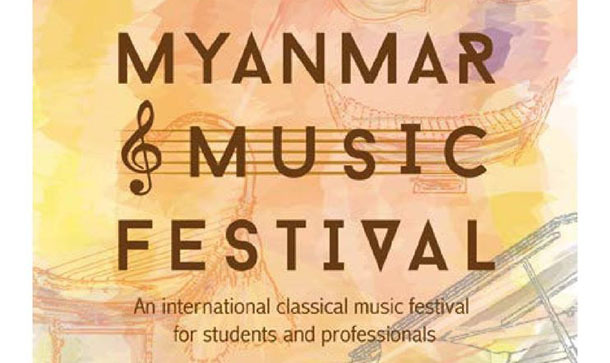 Tickets are 5,000 kyats (3,000 kyats for under-16s). An exposition of South Korean commercial products staged annually by the Myanmar Korean Association. The event aims to publicize the “world-class competitiveness” of Korea’s products and brands. An evening line-up of Electronic Dance Music (EDM) featuring DJ Wine, DJ Lu Lu, DJ Mickey, DJ Naung Naung, DJ Dynamite, Kendrick, Terror Bass and hip-hop musicians Hlwan Paing, Ar-T, Yair Yint Aung, Shwe Htoo, X-Box, Lil’ Z and Bobby Soxer. Tickets are 8,000 kyats and can be bought at City Mart, Orange and call centers 1876 and 1212 (hotline: 09425557666, 018619029). Where: Kandawgyi Myaw Sin Island, Nat Mauk Street, Mingalar Taung Nyunt Tsp. 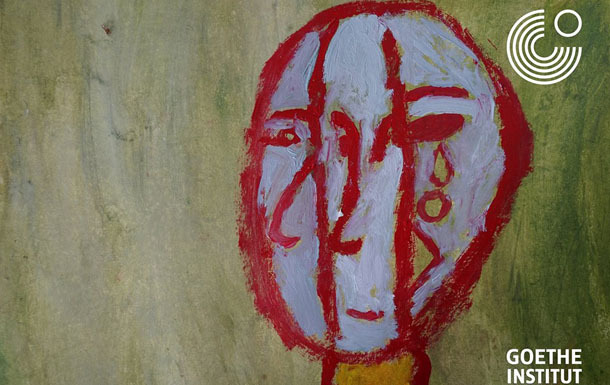 Kachin Children Overcoming Conflicts And Displacement Through The Arts: An exhibition of 100 paintings and wood cuts by ethnic Kachin children in Burma and China who have experienced displacement from armed conflict and land confiscation. The works stem from a project by anthropologist Kaw Seng—born in Yunnan province, China, into a Jinghpaw family (as the Kachin people in China are known)—who from 2014 taught art in camps on both sides of the border, encouraging them to creatively express their feelings. Eighty works from 12 different artists will be on display in this exhibition at Lokanat Gallery. Prices are between US$50 and $1,500 (57,000 kyats to 1,761,000 kyats). 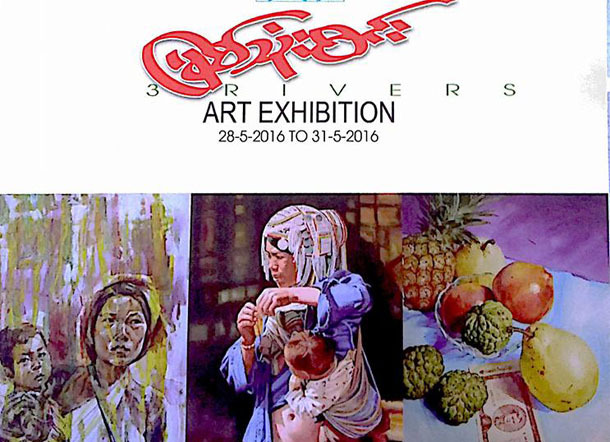 An exhibition featuring hundreds of art works in different mediums. Prices range between $100 and $3,000 (117,000 kyats to 3,521,000 kyats). Thirty watercolor works by three different artists. Prices are between 300,000 and 1,000,000 kyats. In this seminar, a series of speakers will discuss positive contributions music can make to society at large. The organizers argue that music can play a role in reaching some of the United Nations’ Sustainable Development Goals, by helping promote a culture of peace, inclusion and global citizenship, and fostering innovative job opportunities and quality education for all. Where: Monument Books & Toys,No. 150, Dhammazedi Road, Bahan Tsp. 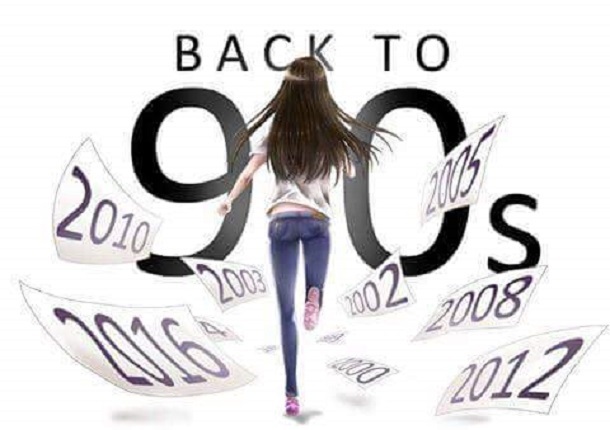 Clothes, games and cartoons popular in the 1990s will be displayed in this exhibit. Eighty percent of profits will be donated to monastery schools. For tickets, call 09-420703987, 09-252959449 or 09795271984.